byPandolfiniSecond in National Master Bruce Pandolfini's innovative Chessercizes series, More Chessercizes: Checkmate! 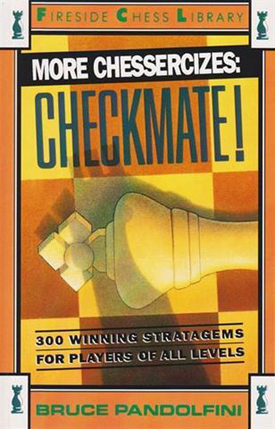 offers players the ultimate challenge--to find the move or sequence of moves that will finish off the imaginary opponent in a checkmate situation. A unique and challenging puzzle book for players of all levels, More Chessercizes: Check! has 300 original problems.